Josiah Towyn Jones came to Cwmamman as a minister of New Bethel Chapel in 1884, a post which he maintained for the next twenty years. At that time, New Bethel, with a congregation of approximately 1,300, was regarded as one of the strongest congregational churches in Wales. Towyn, as he was known locally, was born in a modest house named Towyn Bach at Newquay in Cardiganshire on the 28th of December 1858. He received a basic education at his local school where he gained a reputation for his reciting, having a good memory and elocutionary talent. Towyn was the grandson of a well known Hymnologist, Tom Jones of Rhiwson. After starting his working life on a farm, he left home at the age of twelve to become a mariner, working as a cabin boy on small ships. While Towyn visited his home on a period of leave (another story says that he had been dismissed for breaking crockery*), he was induced to become a student at Towyn Grammar School where he remained for nine months. On the advice of his pastor, Rev. Penry Evans, he sat and passed an entrance exam for Carmarthen Presbyterian College and won the Berman Entrance Scholarship of £50. After three years in College, Towyn was ordained as a minister at Gwernllwyn Welsh Independent Chapel at Dowlais in June of 1880. The chapel amusingly became known as "Capel Crwts" (toddlers or kids chapel) because the youthfulness of the minister and much of the congregation! He remained there for four years before succeeding Rev. T. Eynon Davies at New Bethel Chapel at Garnant in 1884. In 1885, Towyn married Miss Mary Howells of Plas Cadwgan, Swansea. The couple had two daughters, Elsie and Eira. While at Garnant, Towyn was a prominent figure in the life of the village, being a member of Carmarthenshire County Council, Chairman of the Llandeilo School Board, Governor of the University Colleges of South Wales and Aberystwyth, member of the Management Committee of the Intermediate School at Llandeilo. He was Secretary of the Welsh Congregational Union as far back as 1896, becoming Chairman in 1917. His presidential address at Pwllheli was titled "Christ and The New Age." Towyn had a strong interest in politics and was Secretary of the East Carmarthen Liberal Association, Secretary of the Amman Valley Liberal Association and a member of the Executive of the South Wales Liberal Federation. In 1904, Towyn left Garnant to become Secretary of the Welsh Congregational Century Fund. Towyn was a very skilled organiser and was in great demand as a public speaker, his eloquence referred to as "Torrential". He was also very energetic and once travelled 4,000 miles in only three weeks, speaking and lecturing. It was said that Towyn had occupied most of the pulpits in Wales in his time. 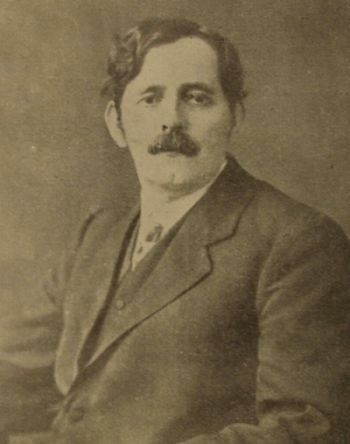 Josiah Towyn Jones was the first minister to preach from the pulpit of Brynseion Chapel, Glanamman, when it opened on Sunday the 12th of May 1912. He led the South Wales area in resisting the Balfour Education Act of 1902 and it was on Towyn's advocacy that the voluntary schools in Carmarthenshire refused to administer the act. As an ardent Welshman, it was Towyn's belief that the Welsh language deserved to be taught on an even footing as English in secondary schools and pressed the Central Welsh Board to employ this. After acting as agent for the Liberal M.P. Abel Thomas K.C., Towyn was chosen as the Liberal candidate to replace him when he died in 1912. Towyn won the by-election with a large majority and became M.P. for Carmarthenshire East that year. 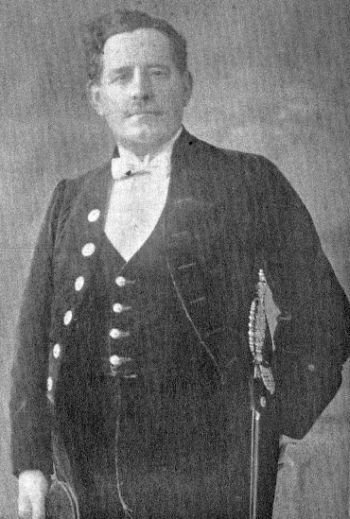 Towyn became Government Welsh Whip and Junior Lord of the Treasury in 1917. The Carmarthenshire East constituency was abolished in 1918 and Towyn became M.P. For the newly established Llanelly constituency in the general election held that year with a majority of 1,935. In the Summer of 1922, Towyn had to retire due to ill health and moved to New Quay, Carmarthenshire. 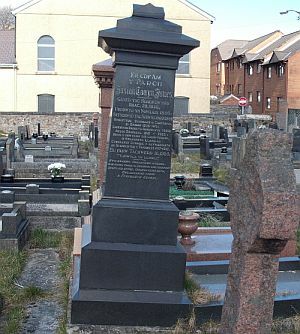 Towyn died at his daughter's home at Ammanford on Monday the 16th of November 1925 and was buried on the following Wednesday Afternoon at Gellimanwydd (Christian Temple) cemetery on Hall Street. A service conducted by Rev. John Llewelyn of Rhosaman and Rev. Glannant Davies, took place at the house and the oak coffin was then borne on a bier to Gellimanwydd where the main service was conducted by Rev. D. Tegfan Davies. Various others paid tributes at the Gellimanwydd service. A large crowd attended the funeral, including many clergymen of all denominations. Among the floral tributes received were those from David Lloyd George and the Prince of Wales lodge of Freemasons, Llanelly. Towyn's Grave. To view the inscription, please click on the above image. And a favoured person of his nation. "I am deeply grieved to hear of the death of your father, who was one of my most sincere political comrades. His eloquent delivery in Bangor 35 years ago contributed materially to my return in that hot contest. He and I were closely associated in Welsh politics, and his breakdown in health was a great loss to Liberalism, and a great personal blow to myself." The extensive obituary in the 19th of November 1925 edition of the Amman Valley Chronicle stated "
he spent himself in the service of Wales. He lived at top speed, and accomplished a tremendous amount of work." One of Towyn's brothers, Jenkin Jones, was headmaster of Brynamman Infants School. Information for this article was taken from the 19th November 1925 edition of the Amman Valley Chronicle. * Denotes information on National Library of Wales website. Thanks to Sue Nordberg for contributing the photograph of Towyn and to Terry Norman for the photograph of Towyn's Grave and the translation of the stone's inscription.